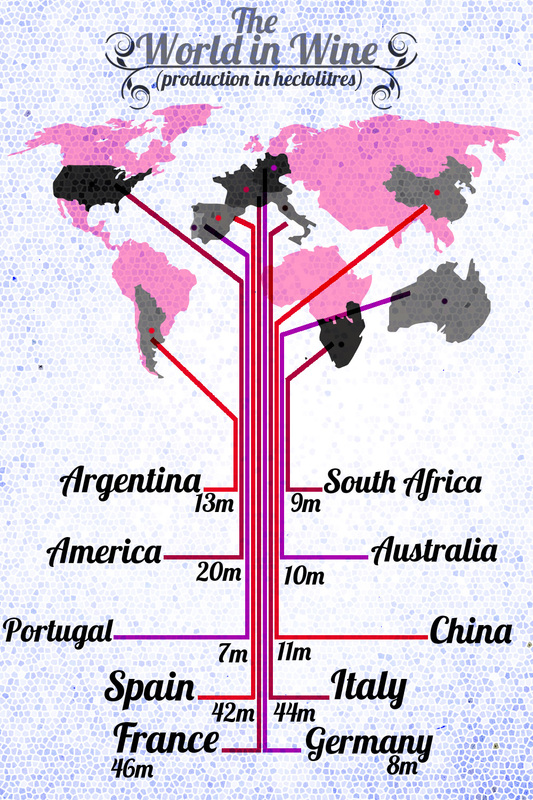 This simple infographic from the team over at Juicy Grape Wines sets out the top 10 wine producing countries from the amount of wine they produce. France is of course top with 46m hectolitres of wine produced each year inside the country, Italy is a close second with 44m and Spain sits in third place with 42m. Surprisingly China now makes the list producing more wine than South Africa or Portugal and now responsible for around 11-million hectolitres a year. Argentina, Australia, Germany and America also make the finished list.